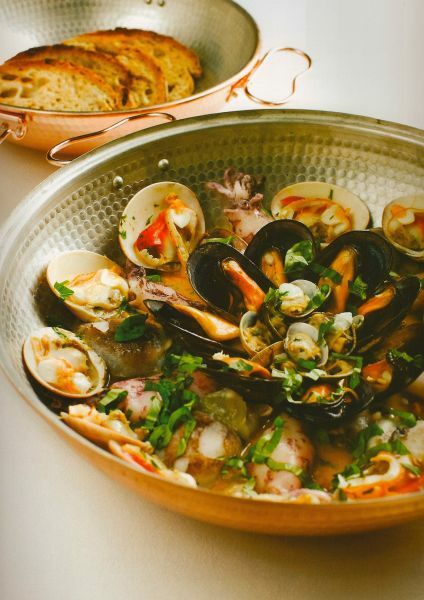 Paella pans from Destillatio? Spain is a country of culinary highlights, whereby one probably thinks about the famous paella first. And it is a fact that paella is also a delicacy in other countries. We deliver Paella pans in all sizes immediately from our warehouse - and you can choose between typical Spanish enamel, or modern stainless steel or copper. We really specialize in copper, so we can offer you a large selection of different copper pans. If you are looking for paella or copper pans, then you are sure to find the right pan here. Copper pan / frying pan (24 cm) with handles "CopperGarden®"
Copper pan / frying pan (24 cm) with long handle "CopperGarden®"